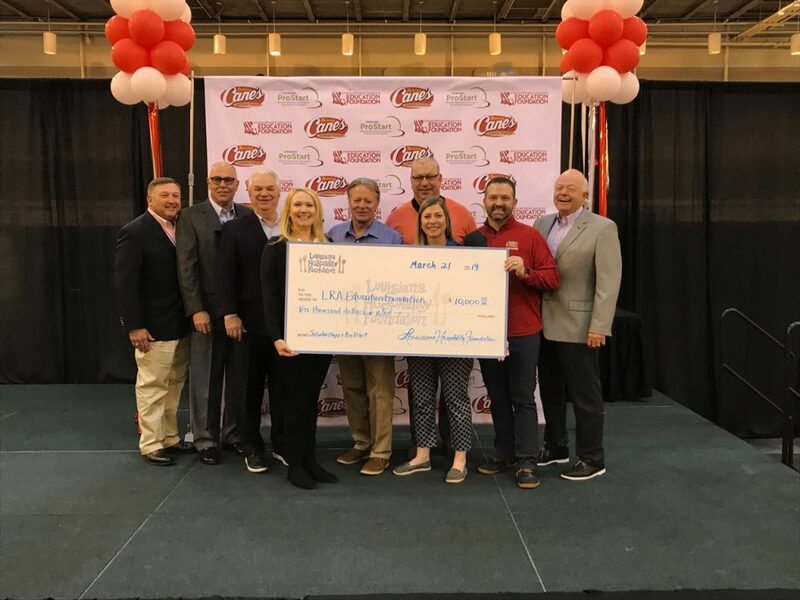 The Louisiana Hospitality Foundation announced that a $10,000 grant was awarded to the Louisiana Restaurant Association Education Foundation on March 21, 2019. This grant will support both culinary scholarships and culinary education-related events. The Louisiana Restaurant Association Education Foundation exists to enhance the industry’s service to the public through education, community engagement and promotion of career opportunities. They hosted the annual Raising Cane’s Chicken Fingers Louisiana ProStart Invitational last month, which allowed students from 22 different Louisiana high schools to showcase both their creative and culinary talents. The program gave students a chance to develop their talent into “tomorrow’s restaurant industry leaders,” as well as discover new interests. The Louisiana Hospitality Foundation was a sponsor and further participated by judging the marketing competition. This award from the Louisiana Hospitality Foundation helps provide Louisiana’s young adults with additional access to culinary and hospitality education. “It is our duty as industry veterans to give back and support the next generation of our hospitality industry,” said David Blitch, LHF President and Co-founder. Louisiana Hospitality Foundation presents a check to the Louisiana Restaurant Association Education Foundation in New Orleans, LA on Thursday, March 21, 2019.